Swansea City chairman Huw Jenkins says they "will not rush" appointing a new manager, following Garry Monk's departure earlier this month. Former Argentina and Chile coach Marcelo Bielsa has recently been the leading candidate to take over. Jenkins travelled to South America, where it is understood he spoke to the 60-year-old about taking charge. "We have been working tirelessly and diligently to fill the managerial void," said Jenkins on Twitter. "But the important thing is that we find the right person to complement our setup. "We would all like the appointment to happen sooner rather than later, but we will not rush into anything. "If it takes us a little longer than expected then I'm sure it will be to the long-term benefit of this football club." AEK Athens boss Gus Poyet is understood to be interested in the role, but his club have said no approach has been made. The Swans host West Ham United on Saturday lying 16th in the Premier League, one point above the relegation zone. Caretaker Alan Curtis will be in charge for the second time since Monk left and is prepared to carry on "as long as possible" while Jenkins seeks a new manager. "If we have to carry on a little bit longer then so be it. It's my job to carry on regardless," said Curtis. "The talks and discussions are ongoing a new manger could come in next week but certainly, if nobody presents themselves, then we carry on for the West Brom game and possibly thereafter. "But it's probably best for everybody that a new man is appointed as soon as possible." 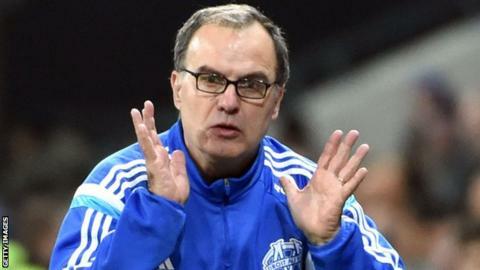 Bielsa resigned from French club Marseille in August and is currently unattached. Since meeting Jenkins in South America this week, the former Espanyol and Athletic Bilbao manager has been linked with Italian club Roma. "I know his reputation, but I don't know a great deal about him," Curtis continued. "Obviously we've all sort of 'Googled' him in the last couple of weeks. "We knew his reputation because Pep (Guardiola) always raved about him. "It is something to look forward to as well because, if Bielsa does come in, his reputation as a coach is fantastic. 'If Pep Guardiola can say he is the 'best coach', then obviously he's someone you're bound to learn from. "We need the right person, whoever that is." Ashley Williams said this week he felt like he had "lost a mate" after Garry Monk's departure. And Curtis added other players also feel "they have let Garry Monk down", but "the best way to show respect for Garry is by getting results" for the rest of the season. Curtis added: "Obviously there's still a little bit of sadness. "Players have learnt to become resilient these days. Unfortunately managers will come and go. "They've bought into what we've been asking off them (in training). "What we have to do is concentrate on getting results."